Scholastic Storybook Treasures Giveaway just in time for the Election! The award-winning SCHOLASTIC STORYBOOK TREASURES series (www.newkideo.com) offers videos that are perfect to entertain and inform future citizens. These two acclaimed DVDs teach kids about American history and the electoral process via great storytelling and lively narration and animation. This DVD includes an animated adaptation of Judith St. George’s Caldecott Medal-winning book, narrated by Emmy® Award-winning actress Stockard Channing, and other stories about America’s vibrant political life (available now from various retailers, $14.95srp). This lighthearted roundup of anecdotes and trivia could be a guide for aspiring presidential candidates: for example, it might boost your odds of being elected if your name is James (the moniker of six former presidents) or if your place of birth was a humble dwelling (“You probably weren't born in a log cabin. That’s too bad. People are crazy about log-cabin Presidents. They elected eight”). 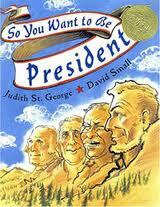 Additional stories include the adaptation of My Senator and Me: A Dog’s Eye View of Washington D.C., a tail-waggingly funny story written by the late Senator Edward M. Kennedy; Madam President, based on the witty book about a girl who dreams of occupying the Oval Office, written and illustrated by Lane Smith; and I Could Do That! Esther Morris Gets Women the Vote, based on the book by Linda Arms White. The last story tells how one girl's gumption propels her through a life filled with challenges until, in 1869, she wins the vote for women in Wyoming Territory. For parents planning to see the epic motion picture Lincoln, it’s easy to share a bit of Lincoln history with your kids. 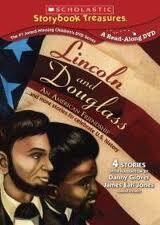 The amazing Lincoln Douglass: An American Friendship … and more Stories about American History, http://www.newkideo.com/scholastic/lincoln-and-douglass-an-american-friendship-and-more-stories-to-celebrate-u-s-history/, is narrated by Danny Glover and features a behind-the-scenes interview with acclaimed author Nikki Giovanni, who wrote the original picture book. Other stories on this DVD include the Pilgrims of Plimoth; John, Paul, George, & Ben; and The Journey of The One & Only Declaration of Independence (available now from various retailers $14.95 SRP)." "Did you know that this coming Monday, October 29th is National Oatmeal Day? With Oat being a lead ingredient in many AVEENO® products, National Oatmeal Day is one of our favorite days! In honor of this fabulous Oat holiday, we would love to offer an oat-themed giveaway featuring some of our classic ACTIVE NATURALS® Oat products. On Monday, 10/29, celebrate with us by offering two lucky readers “The AVEENO® Oat Bundle” containing our favorite Daily Moisturizing Lotion, Daily Moisturizing Body Wash, Skin Relief Lotion and Skin Relief Body Wash. This ultra-moisturizing giveaway will send the winners sailing into the winter season with beautiful, healthy skin!" "Just Born, Inc., makers of the MIKE AND IKE®, PEEPS®, HOT TAMALES® and GOLDENBERG’S® PEANUT CHEWS® brand candies, confirmed that the legendary candy duo, Mike and Ike have parted ways. The pair cited irreconcilable creative differences, which has been confirmed, suggesting that Mike and Ike will stop collaborating on their famous fruit chewy candies. MIKE AND IKE® candy, with varieties such as Original Fruits, Tropical Typhoon®, Berry Blast®, Red Rageous!™ and others, will continue to be offered at retailers this Halloween despite the split. Consumers will see no changes in flavors or distribution. These tasty treats are perfect for Halloween trick or treaters! 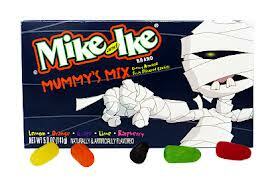 Well before Mike and Ike split, they developed a new product offering for Halloween 2012 called MIKE AND IKE® Mummy's Mix. Ike created Halloween themed artwork complete with a scary mummy on the front of the box. Mike picked the 5 most appropriate autumn colors from the vast fruit candy assortment: yellow, orange, purple, green, and red. It's a shame they split up before the new product launched for this Halloween season. The New MIKE AND IKE® Mummy’s Mix is available in a 5 oz box which is perfect for Halloween parties as a gift or as a candy dish item. MIKE AND IKE® candy is available in various pack sizes boxes from snack to take-home bags at prices ranging from 25-cents to a few dollars. They can be found in supermarkets, mass market retailers and drug stores. The independent and talented duo has decided to follow their true passions. Mike is a musician at heart and produced a music video; Ike is an urban artist and a lover of art. Their split is not unlike that of other famous celebrity duos like Simon and Garfunkel or Lennon and McCartney. “People of all ages love MIKE AND IKE® and we are reassuring fans and our retail partners that our famous fruit-chewy candies will continue to be produced and sold this Halloween as we get this resolved,” says Caitlin O’Connor, Assistant Marketing Manager for Just Born." What we thought: We love Mike & Ike candies and we hope they get back together soon:) In the meantime, the kiddos and I are really enjoying the Mummy Mix! The bright colors and fruity flavors are perfect for our Halloween candy dish and the smaller sized bags are perfect for passing out the to the trick or treaters. ABCD Diaries gives Mike & Ike Mummy Mix an A+! "Classic Media, a global media company with a portfolio of some of the world’s leading family entertainment brands, today announced that the second season of the popular CGI-animated series Casper’s Scare School® will air on Cartoon Network in the US beginning October 2, 2012. The series, starring everyone’s favorite ghost, Casper the Friendly Ghost®,features twelve-minute episodes that will air Monday through Friday at 11:00 a.m. EST/PST. Like most kids, Casper loves hanging out with friends — but his friends are real monsters! And at Scare School, where they have been “molding monstrous minds for 10,000 years,” that’s a good thing. In fact, the scarier the better! Whether howling at the moon, or taking off their arms to literally ‘lend a hand,’ these are definitely not your average students and Casper is no ordinary ghost. He’s a unique spirit who’d rather make friends than frighten, and he just doesn’t understand why humans (a.k.a. “fleshies”) and creatures can't get along, especially since his best friend IS a “fleshie”! Casper’s determination to be a friendly ghost makes his education at Scare School a challenge, but with his big heart and the support of his friends, Casper is sure to succeed no matter what obstacles head his way. With the start of a brand new school year, Casper’s adventures at Scare School have gotten a whole lot crazier, a whole lot creepier and even more “fleshie”-frightening than ever before! So get ready because Season 2 of Casper’s Scare School is filled with enchanted ghost ships, possessed jack-in-the-boxes, mischievous superheroes, herds of Bog Monsters, boys that turn into ghosts and werewolves that want to be boys…and that’s just the beginning!" 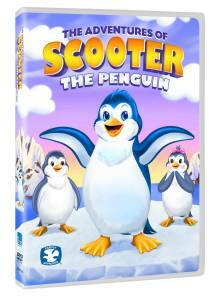 What we thought: The kiddos loved this DVD! It was just the right amount of "scary" for our 4 and 6 year olds. Each episode teaches important lessons like being proud of who you are, how to be a good friend and how to deal with bullies. Make sure to tune in for brand new episodes this season! ABCD Diaries gives Casper's Scare School an A+! With Halloween being just around the corner, Stretch Island Fruit Co.'s fruit snacks and “Green Halloween” initiative could the perfect goodie for this year's trick or treaters! "Stretch Island Fruit Co. is encouraging parents nationwide to align with the Green Halloween initiative to “think outside the candy box” and provide trick-or-treaters with healthier, more earth-friendly snacks including Stretch Island Fruit Strips and FruitaBü Fruit Rolls. 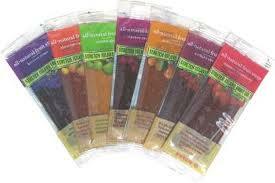 Free of artificial sweeteners, colors, flavors, additives and synthetic preservatives, each Stretch Island Fruit Strip equals one-half serving of real fruit and is available in fun, naturally colorful flavors ranging from Summer Strawberry, to Harvest Grape and even Mango Sunrise. 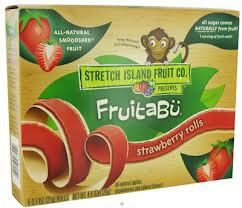 FruitaBü Fruit Rolls are equally free of anything artificial, and offer one whole serving of fruit in its Strawberry, Grape and Apple varieties." 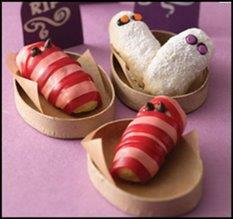 Check out these FruitaBü Fruity Mummies, a fun and tasty Halloween craft for parents and kids to tackle together. Wrap grape and strawberry fruit rolls around a rice krispy treat, add chocolate chips or raisins for eyes and voila! The perfect party treat! What we thought: Of course the kiddos love these, but I admit, I snuck into them too. They are THE. BEST. FRUIT. SNACKS. EVER. Seriously, they are delicious and the best part is that they are made from real fruit and use only natural fruit flavors and sugars. Woohoo! These would be great to pass out to the kiddos this Halloween and perfect for packing in lunches or having for afternoon snack or any time really:) These fruit rolls will definitely be a staple in our pantry! ABCD Diaries gives Stretch Island Fruit Co. an A+! "Fall is here and with fall comes “kitchen season!” From after school activities to tailgating to Thanksgiving dinner, there are many occasions to be in the kitchen – and opportunities for messes! 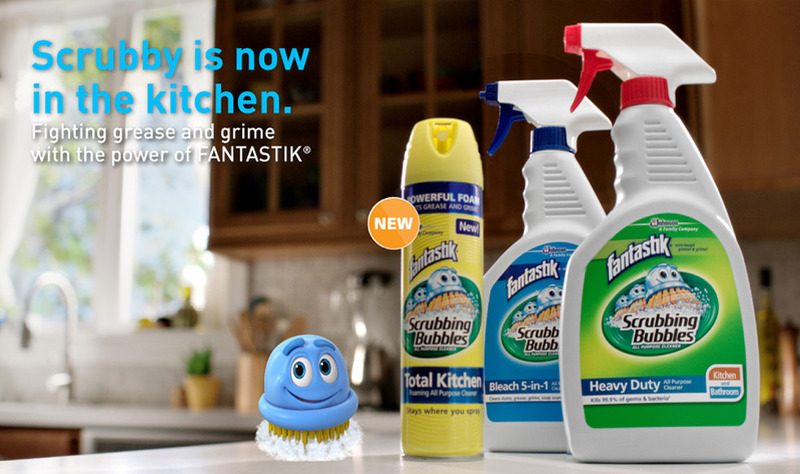 After 40 years as a hardworking ally in the bathroom; Scrubbing Bubbles® has merged with the power of fantastik® to tackle America’s toughest kitchen messes. · NEW! 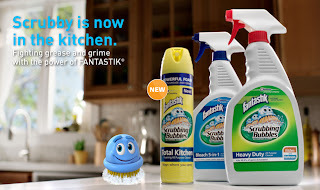 Scrubbing Bubbles® Total Kitchen Foaming All Purpose Cleaner with fantastik® stays where you spray and instantly goes to work with the power of fantastik®. A light foam, it is specially formulated for your kitchen to cut through grease and grime, leaving a brilliant shine and fresh citrus scent. To learn more about the Scrubbing Bubbles® lineup of kitchen products with fantastik®, visit Scrubbing Bubbles® on the official Facebook Page at www.facebook.com/scrubbingbubbles, on Twitter at www.twitter.com/scrubbingbubble or visitwww.scrubbingbubbles.com." What we thought: We are loving these new Scrubbing Bubbles products! We used to use both Scrubbing Bubbles products AND fantastik, so we were so excited to find that they combined to make a wide range of "Super Cleaners" as I like to call them:) Let these two big names do the hard work and get your house squeaky clean just in time for those holiday guests! ABCD Diaries gives Scrubbing Bubbles + fantastik an A+! "In a recent CDC weekly report it again raises awareness that serious injuries and medical complications caused by coin lithium battery digestion is on the rise. I wanted to share some information with you about what Energizer is doing to help promote child safety and offer a solution to the problem. Energizer is the first to introduce a significant packaging improvement designed to reduce the occurrence of ingestions of coin-sized button batteries by children and the associated medical complications. The innovative new packaging, coming soon to store shelves nationwide, is made from more durable and flexible materials that make it very difficult for young children to open. This new packaging meets Consumer Product Safety Commission guidelines for child-resistant packaging. 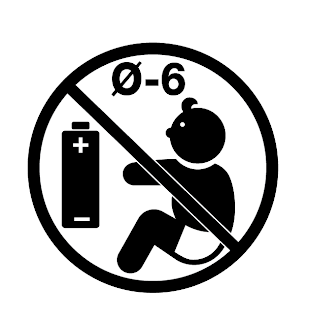 In addition to deterring children from getting into the package, Energizer has added easily understood icons on the front of the package to let parents know to keep the batteries away from small children, along with detailed warning copy advising of the danger of ingesting coin cell batteries and how to get help if they are swallowed. While the transition at retail may take some time, it is fully expected to be complete prior to the upcoming Holiday season. In addition, last year, the company teamed up with Safe Kids to establish The Battery Controlled to help raise awareness of the issue:www.thebatterycontrolled.com." 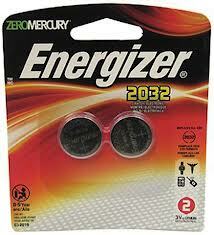 In conjunction with this post, Energizer has offered 2 winners who each win 2 packages of Energizer Coin Lithium 2032 batteries. "Michael Angelo’s Gourmet Foods – the family owned and operated maker of fresh and authentic frozen Italian meals – is offering one grand prize winner an eight-day trip for two through the Trip to Italy sweepstakes. Winners will stay in a private villa with the Michael Angelo’s family, and will tour the region throughout the trip, including an exclusive event at Castello Banfi. Founder and CEO Michael and his mom Sara spend a great deal of time in Italy, and they make great tour guides! The sweepstakes is open now through November 4, 2012. This is the second annual Michael Angelo’s Trip to Italy sweepstakes, and the first is documented in this video." "Open a Michael Angelo’s gourmet Italian entrée, smell the aroma, and usher the world of fine Italian cooking into your home. Each of our delicious appetizers, entrées and sauces is handcrafted from Sara’s authentic Italian recipes, using only the natural, wholesome ingredients found in a genuine Italian kitchen. Unlike many frozen-food companies, we have no warehouse. We cook our meals from scratch every single day, grinding our own beef and mixing our own special sauces. Then, we package and ship them to your local store within 36 hours. They would only be fresher if you made them yourself." What we thought: We very rarely eat frozen pre-made dinners, but since trying Michael Angelo's that has changed! The next time I want a hearty, delicious meal and I don't want to spend a lot of time preparing an Italian dinner, Michael Angelo's will come to the rescue:) The Eggplant Parmesan was some of the best we've ever had and that's saying something! Usually I don't feel like a frozen entree can provide my family with the same amount of flavor as a home cooked meal can, but I think Michael Angelo's does! We also tried the vegetable lasagna and the chicken scampi and really enjoyed them both. The Eggplant Parmesan really exceeded my expectations though:) ABCD Diaries gives Michael Angelo's an A+! What we thought: This was a really fun CD! 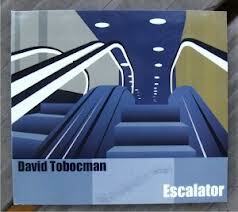 David Tobocman's lyrics are fun and encouraging and the music is upbeat and really enjoyable. We had a great time listening to the imaginative songs on this CD. Check out the website to download a free song and sample more of David's work! ABCD Diaries gives "Escalator" an A+! "Over the course of six beautiful albums in nearly 15 years, Elizabeth Mitchell has invited listeners to join her, husband Daniel Littleton, their daughter Storey, and other friends and relatives to become part of an extended musical family. On Blue Clouds (out October 23), she raises her special kind of family-centric music to new heights by bringing clarity and beauty to a surprising range of songs. Breathing contemporary heart into traditional folk songs, and transforming classic rock songs by David Bowie, Jimi Hendrix, Van Morrison, and others into folk songs, Mitchell continues to grow that family of listeners with each album and concert. And while the family has grown, with well over 100,000 of her records bringing comfort and joy, Blue Clouds still makes Mitchell’s audience feel like they are part of a small picnic jam session. The recordings on Blue Clouds are illuminated by elegant and simple arrangements, with acoustic guitars, harmoniums, banjos, pianos, fiddles, glockenspiels, and gentle drums and bass creating a soulful atmosphere for Mitchell’s clear and loving voice. The songs range from new compositions (“Rollin’ Baby,” “Arm in Arm”) to traditional tunes (“Hop Up, My Ladies,” “Froggie Went a-Courtin’”), to several unexpected covers. Mitchell looks to her childhood memories of 1970s radio on road trips in the family station wagon, and the resulting versions of “Kooks” by David Bowie, “May This Be Love” by Jimi Hendrix, “Blue Sky” by The Allman Brothers Band, “Everyone” by Van Morrison, and “I Wish You Well” by Bill Withers display Mitchell’s care in presenting popular material in a family music context. Mitchell is also a founding member of the veteran indie rock band Ida and is one of Smithsonian Folkways’ best-selling artists alongside Woody Guthrie, Pete Seeger, and Ella Jenkins. Her previous Smithsonian Folkways releases are Little Seed: Songs for Children by Woody Guthrie (2012), Sunny Day (2010), and You Are My Little Bird (2006). Starting with the album You Are My Flower, recorded in 1998 in a single afternoon as a gift for friends and family, Mitchell has developed into an accomplished artist with a devoted fan base and critical acclaim." 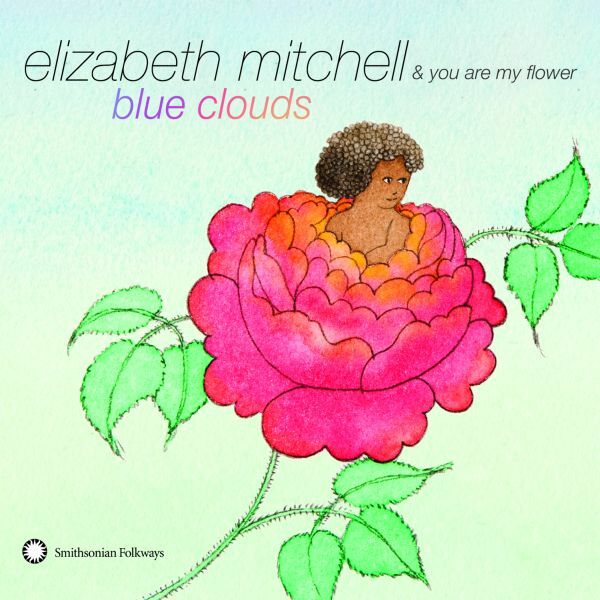 Selected family concerts with Elizabeth Mitchell and You Are My Flower"
What we thought: We love the cool, comfortable sounds of Elizabeth Mitchell. Her music is uplifting and a lot of fun. Most of her songs are mellow and perfect for creating a calm, light-hearted mood, which makes them great for the classroom! The kiddos and I really enjoyed listening to "Blue Clouds":) ABCD Diaries gives this CD an A+! "Who doesn’t want to be smarter, think faster, have a better memory? 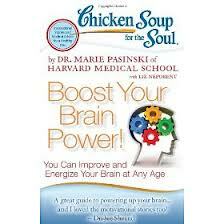 This book, combining inspirational Chicken Soup for the Soul stories written just for this book and accessible leading-edge medical information from Harvard Medical School neurologist and instructor Dr. Marie Pasinski, will motivate readers to get more out of their gray matter!" 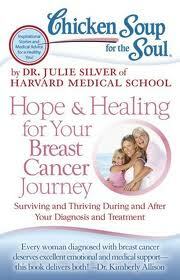 "A support group from breast cancer diagnosis through treatment to rehabilitation and recovery, this book combines inspiring Chicken Soup for the Soul stories written just for this book and accessible leading-edge medical information from Dr. Julie Silver of Harvard Medical School. Patients and survivors will find comfort, strength and hope." What we thought: These were both great additions to the Chicken Soup for the Soul library. They are full of great information and truly inspirational stories that are sure to uplift your heart as well as your mind. ABCD Diaries gives these books an A+! JUST IN TIME FOR HALLOWEEN COMES A NEW LIVE-ACTION FAMILY FILM IN THE TRADITION OF DISNEY’S SPOOKY BUDDIES THAT’S ALL BARK AND NO BITE! 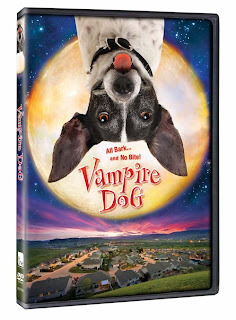 "SNL’s Norm MacDonald is the voice of Fang, a vampire dog that’s all bark and no bite in VAMPIRE DOG, a Dove-approved “tail” of friendship and courage arriving just in time for the Halloween season. 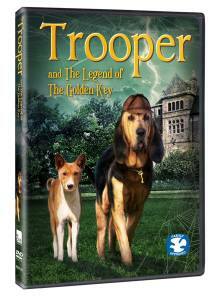 Twelve-year-old Ace is just like any other new kid at school, until his grandfather from Transylvania dies and sends him his dog, Fang. Ace soon discovers that his gramps’ best friend is a 600-year-old, English-speaking vampire dog! In one adventure after another, mad scientist Dr. Warhol and her bumbling assistant, Frank, try to capture Fang and steal his DNA in the hopes of developing the latest anti-aging technology. But lucky for Ace, Fang manages to stay one step ahead of his pursuers. Meanwhile, along the way, an enduring friendship develops as Ace and Fang discover that, together, they can face their fears and do anything. VAMPIRE DOG airs this Halloween on Disney XD." What we thought: We watched Vampire Dog on family movie night and we all enjoyed it:) It's the perfect not-too-scary movie to get the kiddos in the spirit of Halloween. The characters were funny and the story line was entertaining. 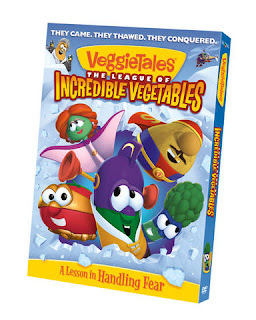 There is also a great lesson of friendship to be learned from watching this DVD. ABCD Diaries gives Vampire Dog an A+!